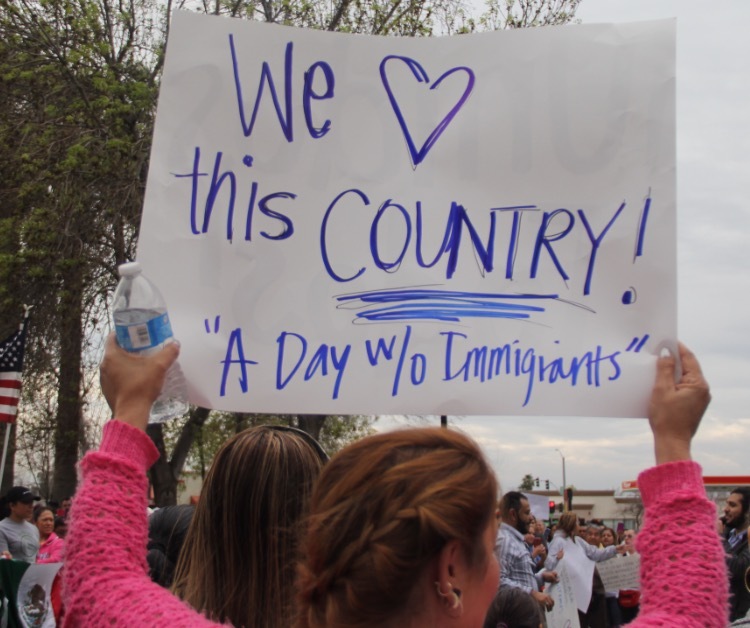 Kern County residents came together for a “Day without immigrants” protest celebrating the contributions of immigrants in America. Across the country, immigrant-owned shops stayed closed, museums took immigrant-made art off the walls and people spoke out against the Trump Administration’s anti-immigrant policies. “We want to feel safe when we go work in the fields, and not fear that we will get deported and get separated from our families.” Read more at South Kern Sol. This entry was posted on February 20, 2017 by Editor in Print, South Kern Sol.